My child struggles to write, what to do? Issues with written expression in kids are rising at an alarming rate. Your presence here explains that probably you are looking for possibilities behind the poor written expression in your child. Often, ‘Dysgraphia’ is the medical term used for such condition where kids find it difficult to write. 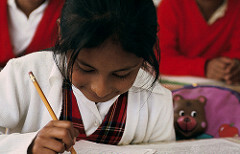 Having a proper writing skill set comes as a necessity as that is the way the kids learn and grow. The saddest part about ‘Dysgraphia’ is that it goes undiagnosed for a very long time. However, early diagnosis always paves a path for proactive remedies to fight it back. Of course, the difficulties in writing and reading could stem out due to various reasons. The basic reason behind this problem is wrong genetic coding. But, of course the correct line of therapeutic treatment with positive attitude can help your child deal with it successfully to a great extent. Please don’t expect any instant results to come your way but with proper attitude and efforts you could surely deal with it successfully and can help your child chase his dreams like other normal children. In this post, you would come across the details of writing impairment, the different manifestations of the same and the therapies that you can use to rectify it. Dysgraphia or impaired writing is purely a brain-linked issue. Often, you might mistake your child to be lazy initially because of his lack of interest and poor grasping of writing and reading skills. Your child may have issues doing simple things like holding a pencil properly or writing alphabets in a sequence on a straight line. Your child will have a messy handwriting which he himself will find it difficult to read. These are some common problems that persist in the kids until unless treated by a therapist. Dysgraphia is often referred to as ‘impairment’ or ‘specific learning disorder’ by many professionals. You should be seeking help from school under the IDEA Act. It stands for Individuals with Disabilities Education Act. This act is for such impaired kids and enables them to cope up with the regular course curriculum. Dysgraphia by default can go unnoticed for very long. It surely does not have to be your fault and it is just due to lack of awareness of this impairment which we have never heard, seen or read about before. Many parents like you only get to learn about this when their child has reached the elementary school or middle school. However, early diagnosis always helps in a big way. The child faces trouble with shape differentiation and spacing of letters. He may find it difficult to write letters and arrange them in sequence from left to right. Your child may find it difficult to write in a straight line. 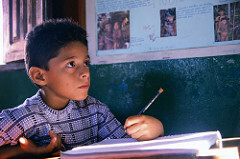 In fact, reading maps, painting and drawing come across as a big challenge for such kids. Your child may take a lot of time in copying text as well. Solving puzzles, cutting fruits, tying shoe laces, holding a pencil and writing a simple text throws a big challenge in this medical situation. You may find that your child cannot co-ordinate motor skills well, such as, using the scissors, following directions while playing etc. You may also find him making an awkward posture while writing something. Your child may find it difficult to interpret thoughts into words. Such kids will not be comfortable in playing games with new rules. Moreover, the sequence of thoughts while talking is lost and they cannot follow directions easily too. In Dysgraphia, writing correct spellings come across as a major hurdle. However, oral spellings are still okay as compared to written ones. These kids would often get confused in upper and lower case letters. Reading their own handwriting is a challenge for them. Of course, this will further add on to loss of interest in writing and they may develop cramps while writing. Grammar usage is a big problem in such case. Small rules pertaining to punctuations, comma usage, tenses and sentence structure are a big problem. You may find your child writing very long sentences that run forever. He may also end up using comma everywhere. He may write sentences in a form of a list rather than a sentence. Story telling is again a hurdle for such kids. Your child may find it difficult to narrate a story. Even if he tries to, you may find him starting from the middle or he may lose out on certain important facts and details. Your child may also assume that you know the story already and may keep beating around the bush while narrating a story. Your child lags behind in reading and writing capabilities for children of his age. It is one of the biggest hurdles in child’s academic and social skills. You may notice that your child is having trouble in learning new words. Grammar usage and interpreting thoughts into words is a problem. You may find your child extremely impulsive and he or she may have lack of attention as well. In this condition, poor motor skills and poor hand co-ordination is prominently visible. Individualized Educational Programs (IEP’s) are designed for such kids. Moreover, the ‘Rehabilitation Act’ under the section 504 established in 1973 states that such kids have to be treated at par with other children without any discrimination. Under this Act, certain modifications and accommodations are done in the school curriculum to ensure comfort of these kids. For instance, under Accommodation – Keyboards are made use of to type and under Modification – short papers or lesser questions are introduced. Such professionals will work on the writing skills, motor skills and language skills of the child both physically as well as mentally. They will provide you the right guidance and will teach your child certain exercises that will help him in a big way. You also have special school teachers who are trained to deal with such kids. Also, good schools will make psychologists available who could counsel both the child as well as the concerned teachers to deal with it. This works out as a big support in achieving academic learning and also ensures that the child grows up with a positive bent of mind. Your child needs a tremendous amount of support at home. There are certain measures to take care of at home that will help you to deal with this situation better. You need to observe keenly the writing pattern of your child. His trouble areas and difficulty patterns have to be noted. Such details need to be passed on to the therapists, doctors and teachers. Warm up exercises will help the muscles of the hand and fingers to get prepared for a proper co-ordination. You should make your child do these warm up exercises before he starts to write and also in between when he is taking breaks. The exercises are simple like rubbing the hands or shaking the hands to remove stress or in built tension from the muscles. Activities like playing with squeeze ball or making moulds out of clay can help to fine tune the motor skills of your child. The more you innovate new games the better it is for him. You as a parent play a very critical role in shaping the perspective of your child related to this impairment. Be normal and loving all the time and try to inculcate positive attitude towards this medical condition. Never even once be critical about this condition in front of your child. Of course, pre diagnosis there would have been instances when you might have been critical and that was more of ignorance. But, make sure once you know what your child is going through then all you need to do is to deal with him with lot of love and patience. You as a parent should give a lot of moral support to your child and tell him that, ‘All is Well and Sky is the limit for you’. 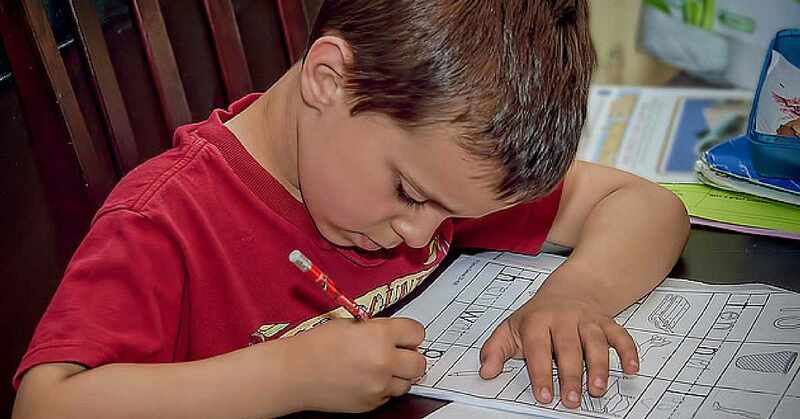 Dysgraphia can become a serious disorder if left untreated for too long. The society may try to attach a taboo to your child’s medical condition but your love and support can uplift him from all negativities. Thanks to technological advances in science, new tools and equipment’s are readily available to treat the same. This medical condition throws a lot of challenge the academic, social and basic life skills of the child. Remember, this medical condition can be improved but cannot be cured completely. Such kids will find it difficult to make friends, write and read, play, talk, buttoning shirt etc. It is necessary that you help your child to build and maintain a high self-esteem for himself. A positive approach and perspective is very important and is capable of doing wonders and miracles that you never expected.